Steve: Come on, Peter. Wake up. Q: Why does the son have a 4.3. framed computer monitor? Nobody has those anymore in 2018, which is when the movie takes place. 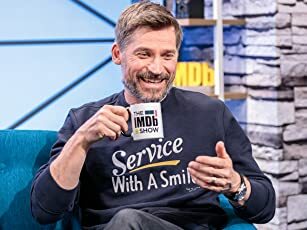 I rarely write reviews for films on here with the exception of two cases: when a movie is really bad or when a movie needs defending from a vocal minority that trash it. First, I'll review the film like I would any other and then I'm going to try and reason why audiences are reacting negatively to the film. 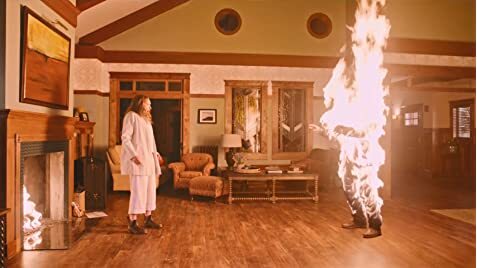 I'm not sure if Hereditary is the greatest horror film ever but I certainly felt like I was watching my generation's Exorcist or Rosemary's Baby. The movie borrows heavily from those two films right down to the final scene. Despite this, it feels new and dangerous. I had no idea how the movie was going to play out which is a criticism I have with a lot modern horror/thriller movies. This in large part has to do with the marketing campaign but more on that later. I feel the term slow burn has a negative connotation associated with it and prefer to call this movie tense. It doesn't really on jump scares that plague a lot of modern horror and chooses tension and imagery to scare the audience with slow camera panning and fantastic cinematography, a nervous score, and great performances. Toni Collette gives and incredible performance as a manic mother who is mourning the loss of a parent. The supporting cast is fantastic as well and they all have a time to shine at some point in the movie. The movie is also challenging in its themes with relationships between parents and their children always in the forefront. The human drama of this movie far exceeded my expectations and is worthy viewing in its own right. To try and explain why audiences are trashing the film through some mediums (not as much on IMDb, see CinemaScore, Rotten Tomatoes for example) I think it is important to understand that we live in an impatient culture. Many horror classics of the past like the two I mention earlier weren't fast paced and instead lingered on images and favored slow paced horror. I think the modern horror audience can get restless when presented with a movie like this. I don't think Rosemary's Baby or the Exorcist would review very well with broad audiences if they were released today. Secondly, I think the film has succeeded in making people uncomfortable by questioning parent's feelings for their children and how they are displayed. This movie is complex and has a lot to say. Comparing this film to another fantastic horror movie from this year, A Quiet Place, offers a great juxtaposition of this idea. 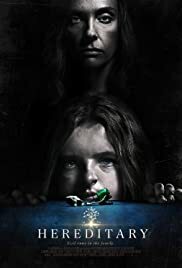 One is very simple in it's premise that quickly gets to the scares while the other takes it's time to build to a climax that may or may not be worth the wait depending on the viewer. Overall, Hereditary offers plenty of horrific imagery and supernatural scares that work as a deeper examination of familial relationships rather than being a string a horror movie cliches. 248 of 437 people found this review helpful. Was this review helpful to you?